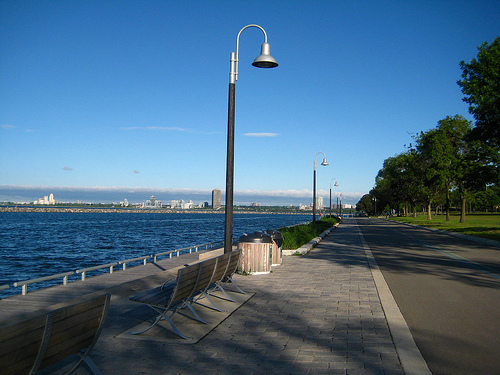 This is a popular area to visit in Toronto. 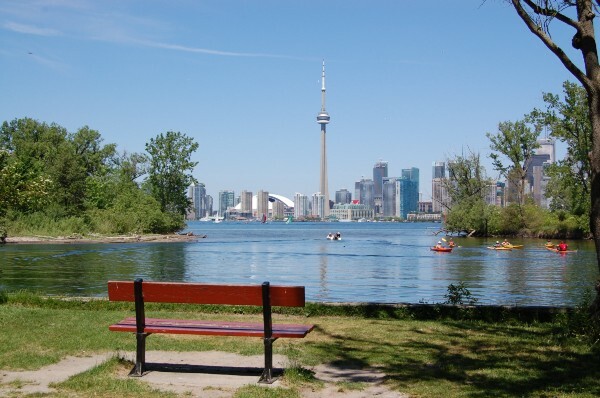 A series of parks and trails provide for a nearly 11km run from the Botanical Gardens in the north to Bloor & Bayview in the Cabbagetown area in the south. 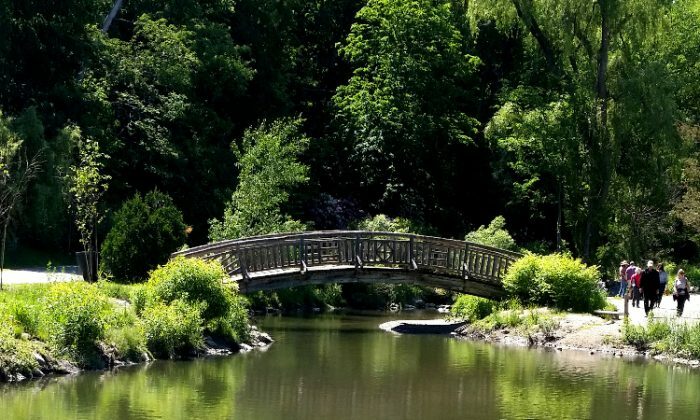 The Edwards Gardens are part of the Toronto Botanical Gardens, which is lovely for running. The gardens are at the northern end of a series of parks: Sunnybrook, Wilket, and Serena Gundy Park. There are lots of trails for running here, and a straight shot from the gardens to Eglinton Ave. East is 1.6 miles. Cross Eglinton and you are at the Ontario Science Center, where there are more trails on the grounds through ET Seton Park, paralleling Don Mills Rd. Just after this park, in the Thorncliffe area, you’ll connect with the Lower Don Mills River trails in the Lower Don Parklands. This trail is along the river and paralleling Don Mills Rd. A good end (or starting point) is at the intersection of Bloor and Bayview, where there is a TTC line. The total distance from the Edwards Gardens to Bloor & Bayview is 6.8 miles, one way. From the southern end of this park, it’s only a couple of kilometers to the Beltline Trail and mid-town Toronto to the west. Lower Don Mills Trail to Bloor & Bayview: 2 miles. Note that there is a project underway to improve the Lower Don Valley River trails.